Setting goals and setting out to achieve them is like setting the GPS for a trip; goals are like a map to get you where you want to be. 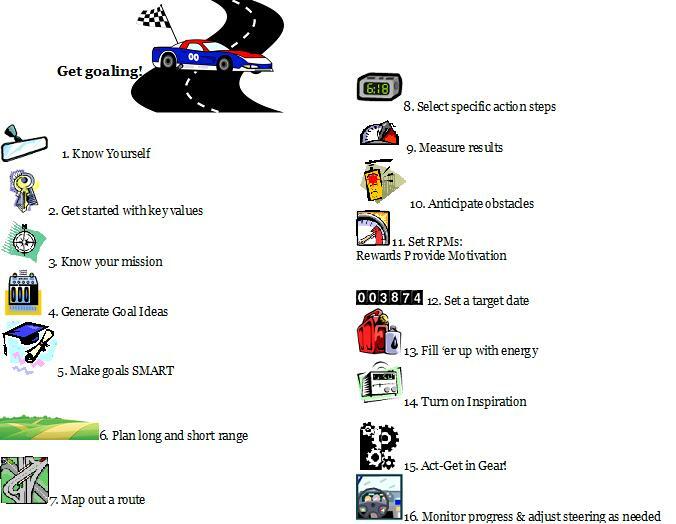 Here is a fun free printable Goal Roadmap with the action steps to take. A motivational water bottle is a great example of a goal broken down into smaller steps. Read more about it at Action Steps. See also GPS for your life.